YOUR SOFTWARE SHOULD BE A BRIDGE, NOT A BARRIER. 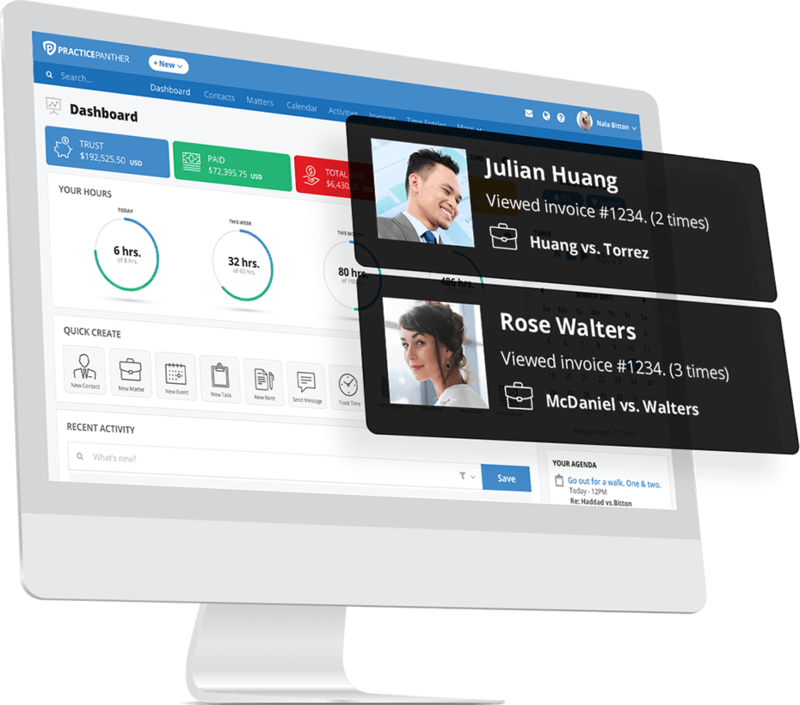 Our client portal, direct inbox integration, chat functions, and “invoice read” receipts ensure that you never miss a beat when it comes to touching base with your clients. 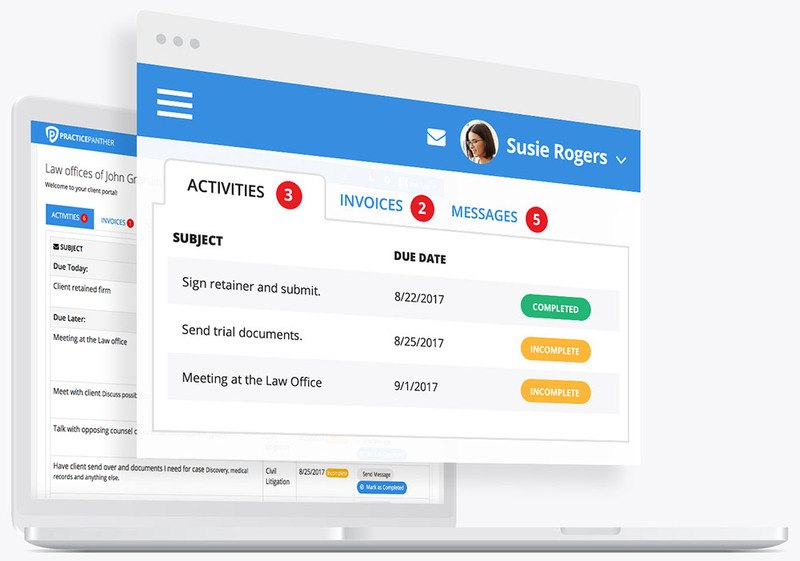 Share task statuses (or assign them directly to your clients), send encrypted files, provide email/text reminders for upcoming hearings, and submit legal invoices all through our client portal. Communicating with your clients has never been this effortless or rewarding. 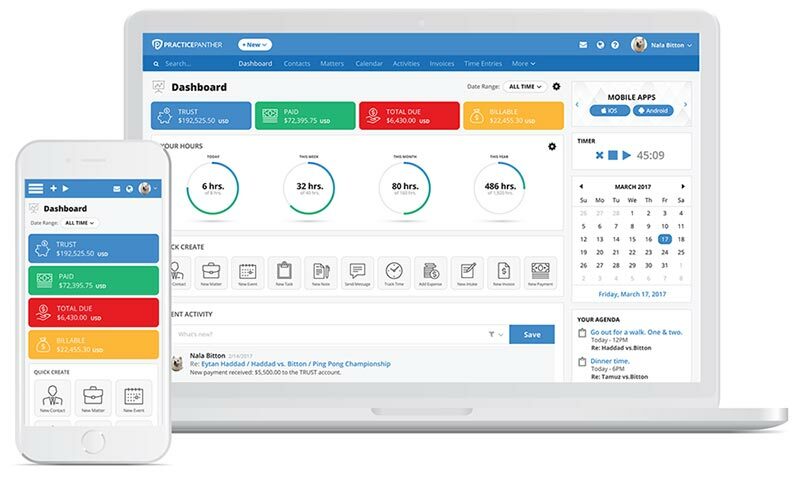 A one-stop shop for client interactions throughout your law practice. Learn more about Legal Client Portal. Never miss an update in your law practice. Communicate with your colleagues internally with our chat function. 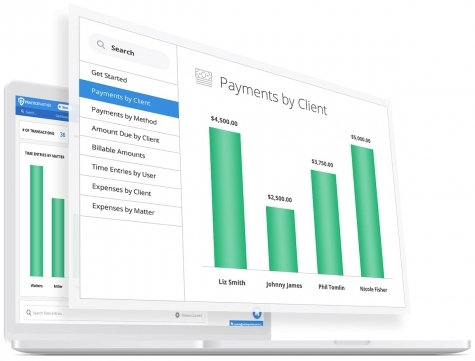 Receive notifications for opened invoices, online payments, updated deadlines, and new tasks. Make sure that all of the members of your law firm stay up to date on all your favorite clients (and the not-so-favorites). Learn more about Notifications & Chat. Billing as easy as 1, 2, 3. Learn more about Legal Trust Accounting & Reporting.